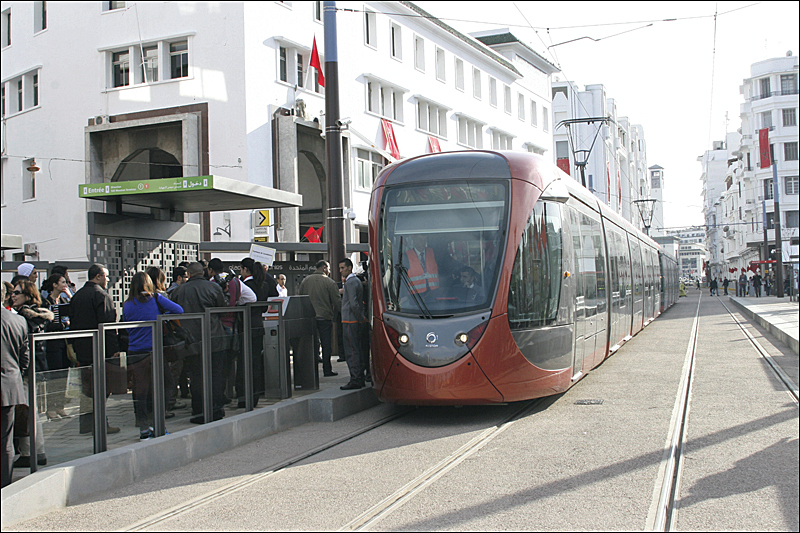 Eight years after the launching of the first Casablanca Tramway line, the second line is ready to operate, while the third and fourth are on the way. King Mohammed VI at inauguration ceremony of Casablanca Tramway (T2). January, 23, 2019. MAP. 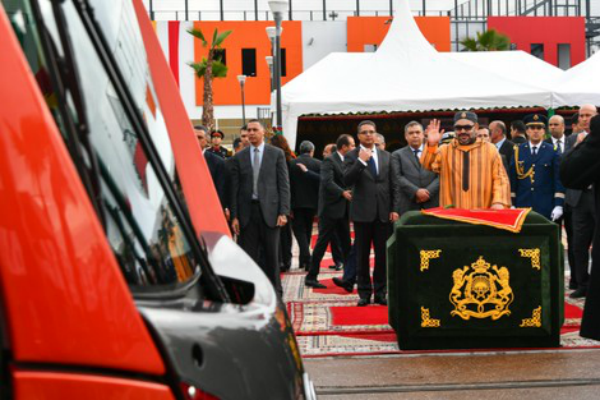 Rabat – King Mohammed inaugurated Wednesday the second line of Casablanca Tramway (T2). The T2 line is connected with three T1 transit stations: Abdelmoumen- Anoual, Ibn Tachfine- Mdakra, and Ali Yaata- Carrieres Centrales stations. The new line reaches nine districts in the city, that have a total population of one million. It has 33 stop stations, including 20 new stations. It crosses over 15 kilometres through Sidi Bernoussi, Ain Sbaa, Hay Mohammadi, Derb Sultan, El Fida and Anoual, in addition to the tramway point linking Darb Ghellaf, Beausejour, Casa Finance City, Hay Hassani and Ain Diab. The T2 will consist of 16 coupled carts with a length reaching 64 meters. 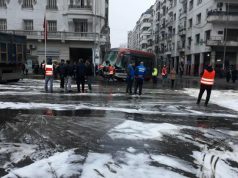 The line will ultimately consist of 25 carts and start to gradually shorten travel time from 9 minutes to 6 minutes between stations when the traffic is at its heaviest, reported Maghreb Arab Press (MAP). 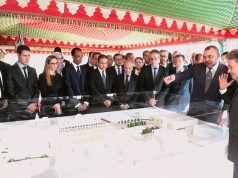 King Mohammed VI launched the construction works for Casablanca T2 On January 2016. 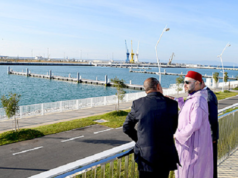 The project cost MAD 3.7 billion as it also covered rail and infrastructure works maintenance, and a center in Sidi Bernousi district for the storing and repairing of technical equipment. 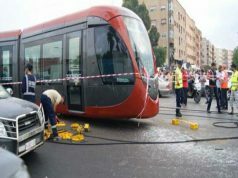 Casablanca tramway network also completed a 2-kilometer rail extension project on the T1, which can now reach all of Laymoun, Florida and Lissasfa neighbourhoods. The extension budget cost MAD 504 million. 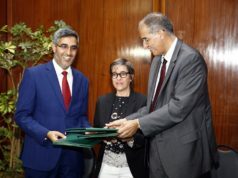 The Casablanca tramway network also plans to complete T3 and T4 tram lines and two “high-level” bus lines by 2022 to reduce traffic congestion in the country’s economic capital. The new projects will cost MAD 16 billion, said MAP. The T3 line will link the Salmia neighborhood to the Casa-Port area, which are 14 kilometres apart, whereas the T4 line will connect the Attacharouk neighborhood to Mers Sultan, 12 kilometers apart. The T3 and T4 lines will serve more than 700.000 people. On the other hand, the two new bus lines (L1 and L2) will also have stops near the tramway stations. While L1 will connect the Salmia neighborhood to Lissasfa and make it to 20 stop stations, L2 will link Madinat Arrhma to Casablanca, with Ghandi Boulevard zone as their connecting point.